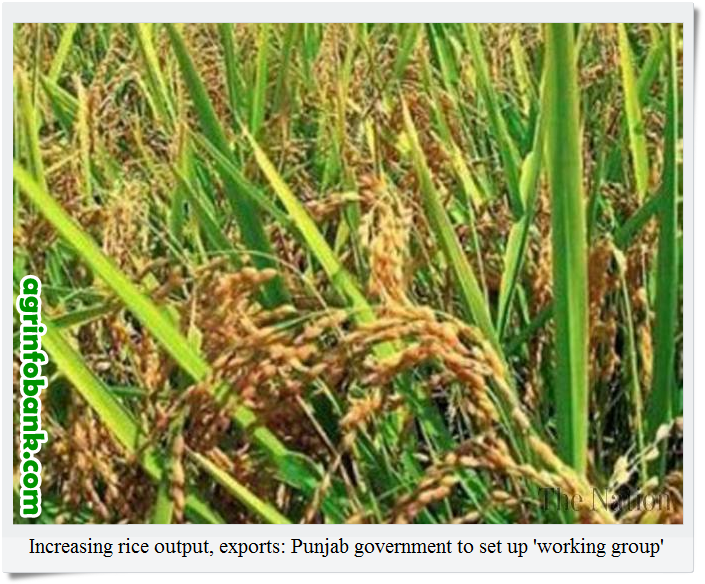 The Punjab government has decided to constitute a ‘working group’ comprising stakeholders to make efforts for increase in production and exports of rice. It is also decided that presence of all the stakeholders of rice production and export should be ensured in the control room to be set up in Rice Research Institute (RRI) Kala Shah Kaku. The Institute is being upgraded at a cost of Rs 79.39 million under which, new research laboratories will also be set up in the institute. A control room will also be set up for discussing important issues and problems being faced by rice and for recommending immediate remedial measures. Stakeholders will be on the panel of this control room. This was disclosed in a meeting convened by the Punjab government for increasing rice production from Punjab. The meeting held in the provincial agriculture house was chaired by the Punjab Minister for Agriculture Dr Farrukh Javed. The Minister informed the meeting that the government has also decided to set up a rice training institute in Farooqabad in which rice growers and exporters will be imparted training about latest techniques of production technology, storage and processing of rice. Director Rice Research Institute Kala Shah Kaku Dr Muhammad Akhtar informed the participants of the meeting that total global production of rice is 483 million tons out of which Pakistan produces 6.16 million tons. Around 3.75 million tons of rice is exported from Pakistan. The meeting was informed that during 2012-13 an area of 4.29 million acres was brought under rice sowing and production of 3.478 million tons was produced. Next Next post: Can graviola cure cancer?